This may seem a bit controversial, but I want to encourage you to fit less information on a screen. As we are, developers, often tend to do right the opposite. I’m talking about font size in your IDE or text editor, whatever you prefer. Developers around me mostly use font sizes from 12 to 14 pixels. Those are very small fonts for a people who stare at letters most of the day. Even for ones with perfect sight, which is a rare case in our profession, I would really suggest increasing font sizes. You’re making pretty big effort processing those symbols and you definitely don’t want to have any extra strain to read them. I personally switched from 12px to 16px about a month ago and I feel the difference literally every single day I go home from work. I feel much less tired, my head is not “heavy” as usual — feelings which I thought are normal after a day in front of a screen. They’re not. 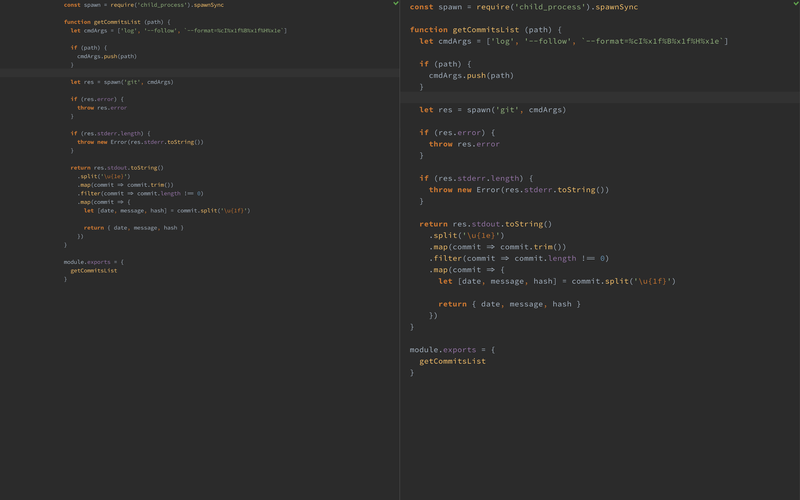 Here is a side-by-side view of my IDE with old and new configuration. Do I give up much extra space? Not really. I still have my 80 characters within a line and vertical scrolling is not a problem at all as I mostly navigate through code by jumping to specific places with a search. 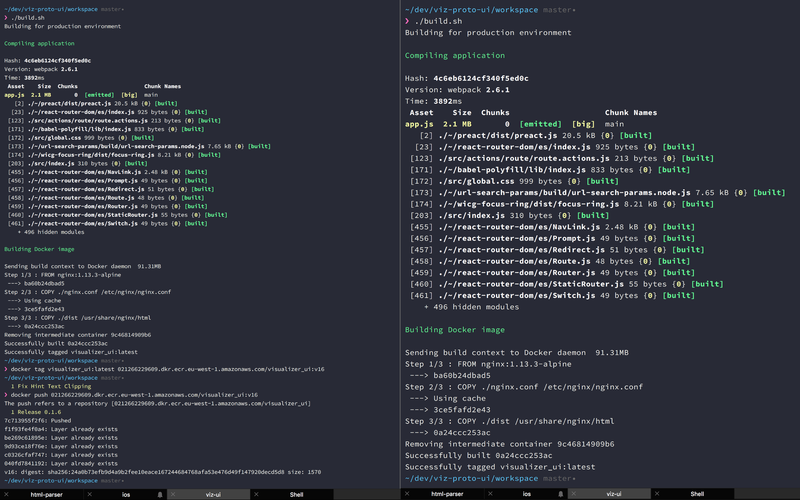 Of course, don’t forget about other text-based interfaces, like terminal and browser’s developer tools. Here are side-by-side views of those. If you have an external monitor, which usually further away from you, go ahead and make fonts even bigger. At first, such giant characters may seem childish, give it a couple of hours, you’ll get used to it very quickly.